Planet Godrej is a 51 storeyed skyscraper by Godrej Properties at Mahalaxmi in Mumbai. Planet Godrej is the luxurious project which is strategically established in the stylish Location Name. This complex of smooth, beautiful, views amidst luxurious green parks is the most happening project. Fashionable yet effective, these innovatively created apartments is fully decorated with all latest amenities to make your ideal home suitable as well as secure. The well- connected place, comfortable setting and easy access to all basic wants and requirements, sign Planet Godrej as an excellent home for the modern family. Every apartment at Godrej Planet is skillfully designed to give comfort zone living experience. The project Planet Godrej by Godrej Properties in Mumbai is for all those who are keen on attaining newer heights of friendly station and influence. The project has truly a few advantages that make it very special and unique. It is located close to all the amenities and luxuries connected with city life. At the same moment, the sound and pollution of city life are something that will never embarrass your comfortable life at Planet Godrej. The project faces Mahalaxmi Race Course in Mumbai. The greenery, silence and the beauty of nature around this complex will be a comforting relief for stressed minds and bodies. 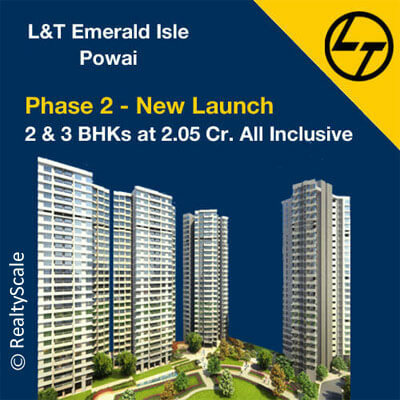 This project is very close to other projects in Mahalaxmi like Lodha Bellissimo and Lodha Primero by Lodha Group, new project Lokhandwala Minerva by Lokhandwala Infrastructure and Raheja Vivarea by K Raheja Corp. Some other projects by Godrej Properties include Godrej Sky at Byculla, Godrej Emerald at Thane, Godrej Bayview at Worli, Godrej Prime and Godrej Central at Chembur and Godrej Properties’ current flagship project Godrej The Trees at Vikhroli. The project Planet Godrej is created with a motivation of living life in the best comfortable space. The interior and exterior of the home give a beautiful look to Planet Godrej. The high rise is spectacularly developed with fabulous designs that make an excellent luxurious lifestyle. Right from the floor plan and the walls and ceiling gives an example of the innovative plan of the project. Check this article for Planet Godrej’s cleanup drive. The home is constructed up with latest facilities and specialized characteristics to make your life’s desired home. The crafting and designing of the project are completed with beautiful work to improve your life with good quality opulence and lavish living comes together.